Cornerstone’s reports and feedback data exceed the demand for excellence in insured damage management restoration. Our team have pioneered change within the industry by developing restorative know-how and best practice approach to both insured and uninsured losses. Historical buildings, sensitive materials, cutting edge and innovative constructions, commercial losses and business continuity are just some of the challenges Cornerstone has overcome to ensure a deliverable solution. 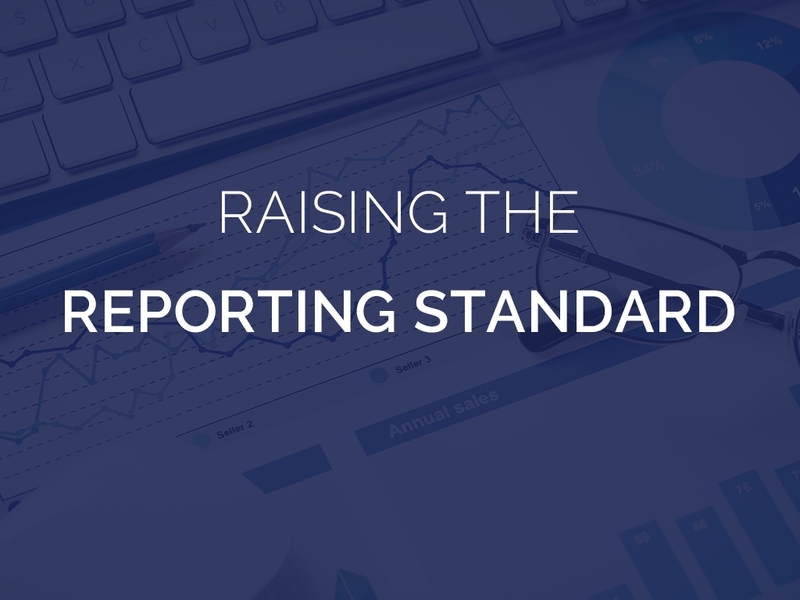 With a range of reporting formats on offer, Cornerstone tailors reports to suit our customers’ specific requirements in conjunction with the reported incident. Reports can be aligned to new or existing losses, the practices of a particular restorative company or individual, or establishing best practice for sensitive losses. Provided to analyse third party restoration reports and associated charges, this officebased reactive service utilises moisture calculations and industry recognised best practice to review the suitability and capacity of equipment used. The audit will also cross-check evidence to validate charges and restorative timescales. Cornerstone will deliver a detailed report highlighting inconsistencies and an independent conclusion. 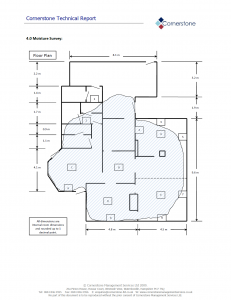 Utilising a range of technical processes including a moisture survey and mapping, chemical analyses, thermography etc, this site inspection identifies possible causes of moisture problems within structures. 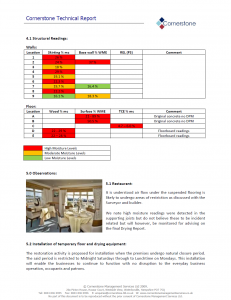 Undertaken on site, these inspections aim to validate Drying Certificates supplied by third party drying companies by providing a moisture report of loss affected areas. This takes place prior to the reinstatement of moisture sensitive materials. Please note that an additional charge may be incurred if concrete slabs are to be surveyed utilising methods detailed in BS8203:2001. This will depend on the urgency of reporting required and, any additional charges would be confirmed prior to the report commencing. 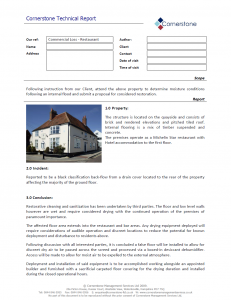 This site investigation looks into an array of conditions including short and longterm moisture problems, mould activity, salts development and fire contamination analyses. Failure of reinstatement materials post restorative drying, typically flooring materials, culminates in a detailed report and conclusion in which all investigative methods are clearly defined. Cornerstone’s project management expertise ensures a smooth transition from contract to completion. This service includes controlling on site activity, interacting with subcontractors, programming reinstatement works and reporting to clients as requested. Project management would normally be provided following the submission of a ‘Loss report or ‘Full technical assessment’. Cornerstone’s loss reports clearly identify and quantify commercial, complicated and high net worth restorative works including structure type & restoration features. 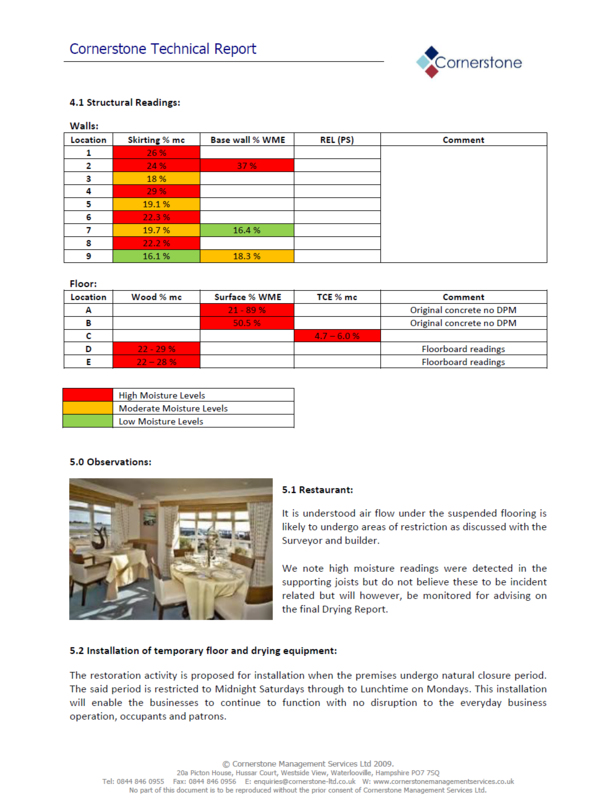 In addition to confirming reported loss, identifying possible policy cover inconsistencies and hazardous materials and conditions, the report also maps the extent of the loss and calculates equipment requirements taking into account loss type and material sensitivity. Get in touch now to discuss a reliable, independent reports tailored just to you and your business.